This weekend at the cottage we will be decorating the Christmas tree - much to the joy of our to mischievous cats! Meanwhile, I have finally found my way around to purchasing some Christmas cards, and my gift shopping is gathering pace. 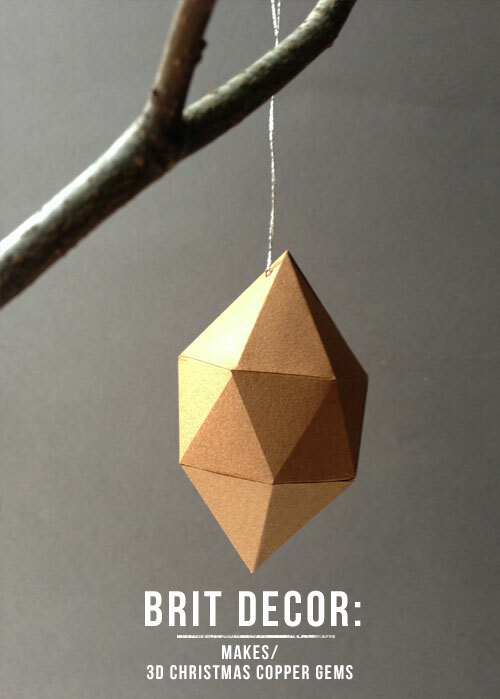 In amongst all of this Christmas prep, my favourite thing of all really is the tree decorating. This year I have been itching to find the time to bring some handmade decorations into the mix, so I decided to return to one of my most valued crafting books for inspiration, MiniEco. 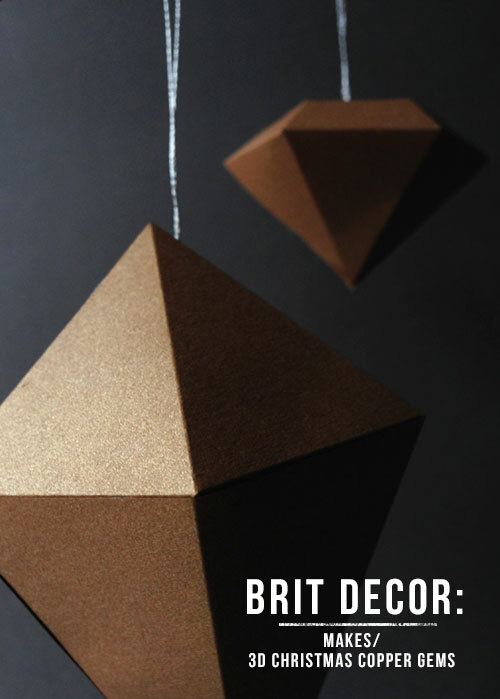 I love author Kate's, colourful 3D gems, which I chose to give the copper treatment for my own Brit Decor twist (see 'above'). 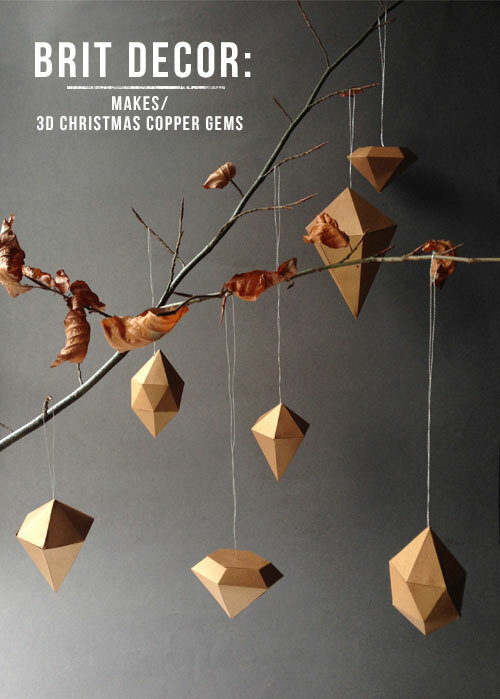 Copper is grabbing many of the interiors related headlines right now and it's perfect for Winter with its warm and shiny glow - so with the help of some copper metallic paper, metallic thread, and the MiniEco template, I have created my very own 'on-trend' Christmas tree decorations. 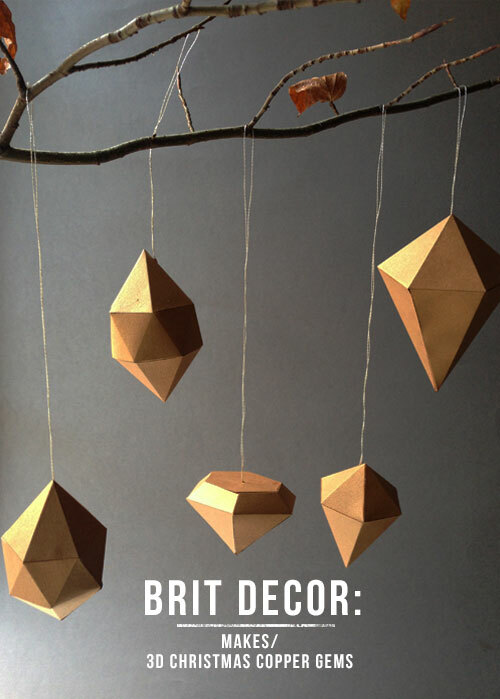 If like me, you are wanting to introduce some handmade touches to your Festive celebrations this year but are strapped for time, these easy to follow instructions mean that you can construct your own gems in no time at all. 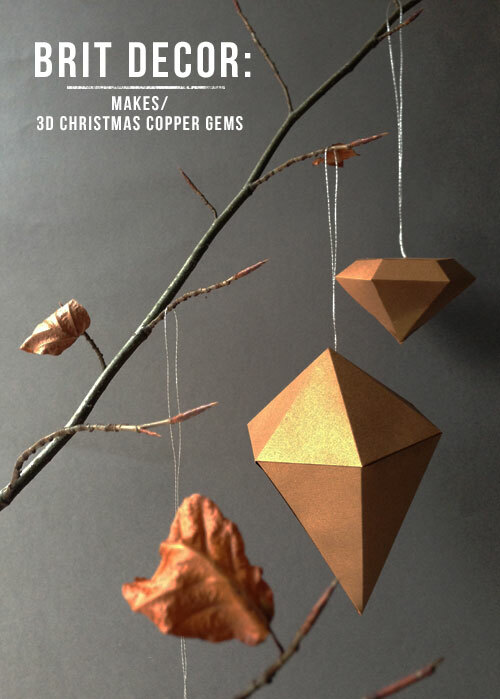 I simply cannot wait to see these decs dotted around the Christmas tree, shimmering their warm copper tones! 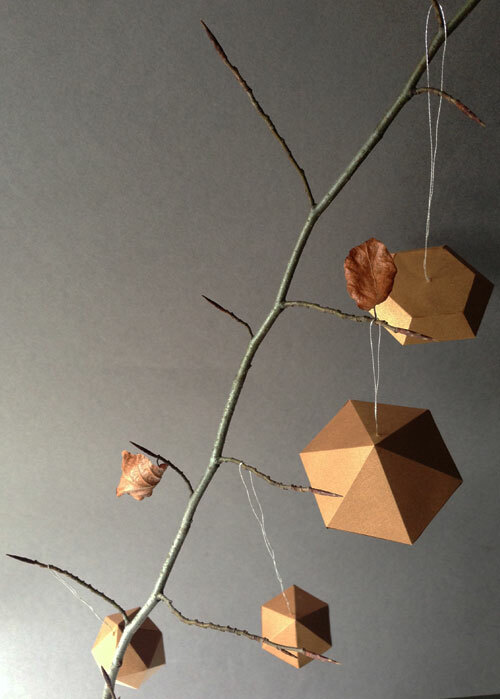 Will you be making your own decorations this year? 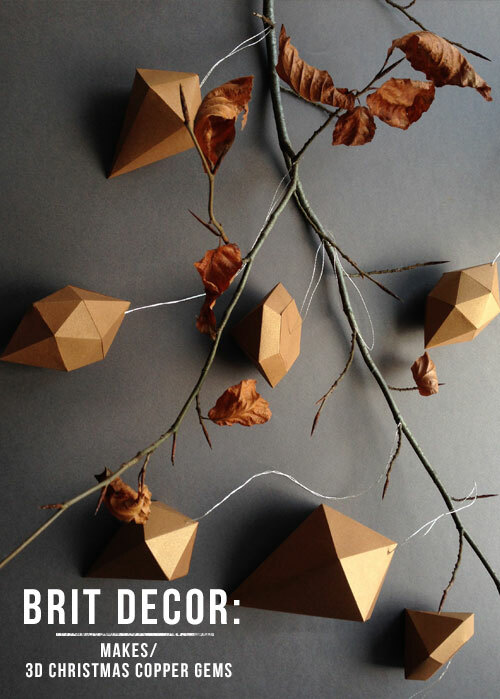 ...thanks Antonia, and they were pretty easy to make! Result!